Price listed is for three settings. 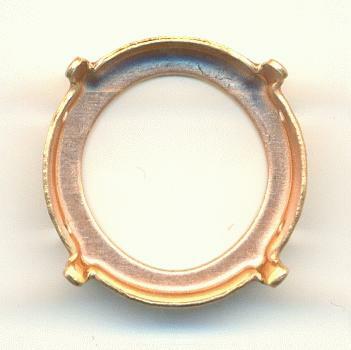 These are raw brass sew-on settings for 75ss (17.97 - 18.2mm) round rivoli stones. They have four holes.